As 20-year old actress and singer, Demi Lovato, sang the National Anthem at game four of the World Series on Oct. 28, many fans and spectators were surprised to see a diamond ring on her ring finger. I think the question that everyone might be asking, is Lovato even healthy enough to get married? After entering rehab for “emotional and behavioral problems” that included purging, self-mutilation and punching a back-up dancer, I wouldn’t be so quick to say she’s out of the woods yet. It’s only been a little over a year since her rehab stint, and she has been reported saying repeatedly that her healthiness is a constant battle. Also, who exactly is the X Factor judge dating now? We’ve haven’t seen any pics of the star with a hot new boytoy in months. There was a little something going on with One Direction’s Niall Horan some weeks ago, but according to Lovato, as she mentions to Teen Vogue magazine, that relationship seems super casual. Besides, there are some reports that the teen heartthrob is now dating an art student named Amy Green. So who else could it be? According to twitter fans, Wilmer Valderrama is a contender. “Demi Lovato is engaged to Fez. #imintheknow,” Cathleen Conrad wrote. Now, even though there have been reports of Demi and Fez, oops…I mean, Valderrama, acting like a couple at certain industry parties and such, we’ve haven’t actually seen any photos of the two together since earlier this year. I highly doubt they are secretly engaged. 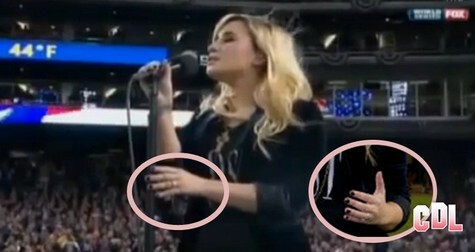 Do you think Lovato is engaged? Or is this just twitter fans getting a little too excited? One Direction Niall Horan Dating Demi Lovato! Demi Lovato Dating Niall Horan – She Admits It At Last!